Thought that breakfast was strictly for eggs, or, that cereal you love? Think again. 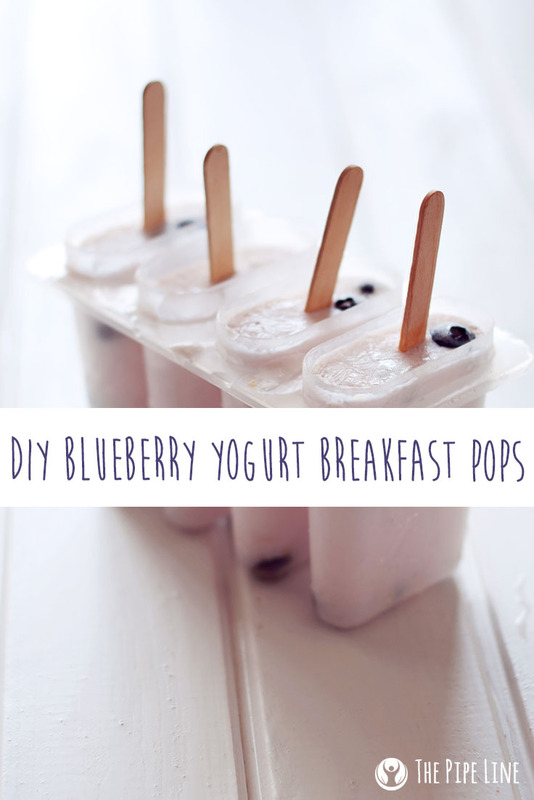 Hot off the Pinterest trending board, this recipe is sure to make your mornings that much sweeter. Say goodbye to bland, boring breakfasts and hello to vibrant, fruitful ones! These popsicles are made from simple ingredients that are good for you. Not only that, they will fill you up! So when you’re in a rush, and it’s sweltering heat outside (re: summertime) you’ll be happy you made these and can easily grab one –and go! Yogurt is a great way to curb sweet cravings throughout the day and provide your body with some good bacteria; blueberries are antioxidant powerhouses that will help you feel good. See, we put a lot of thought into these gems to make them healthy and as yummy as can be! Pour your blueberries into the high speed blender and pulse to form a fluffy, almost smoothie like consistency. Next, transfer the blueberry mush into a bowl, and sweeten slightly with your choice of natural syrup. While we used maple syrup, feel free to use what you please. Mix together. Add in the yogurt, but don’t mix together with the blueberries so much that it all becomes a unified color—you want some swirl magic to happen after all! Now it’s time to place the mixture into the popsicle molds. If you’re trying to do add in some granola goodness, then place that first then pour in the blueberry/yogurt mix. Freeze! Place in the freezer for a few hours to take shape. ENJOY + flaunt your healthy chef skills. Go on – make them and let us know below how they turned out! We’re betting on ah-mazing. Loved what you read? Subscribe to our newsletter below to stay up to date on everything from blog posts to sales!